The German mid-year consumer technology show IFA is known for lots of things: it’s known for showing off phones, headsets, and sound gear, and it’s also known for highlighting what sort of cool technology is heading our way in the not-too-distant future. You can take the finger quotes away from this one, however, and keep Dr. Evil locked away, because over the weekend at IFA, Hisense demonstrated a TV that used lasers to project imagery to a 100 inch panel, showing off a technology that has made an appearance at least once before as a form of laser projection system. That is essentially what a laser TV is — a laser projector — and going by the information we have on Hisense’s laser TV, it’s similar, relying on an LED panel to project to for what we can only assume is a backlit image. 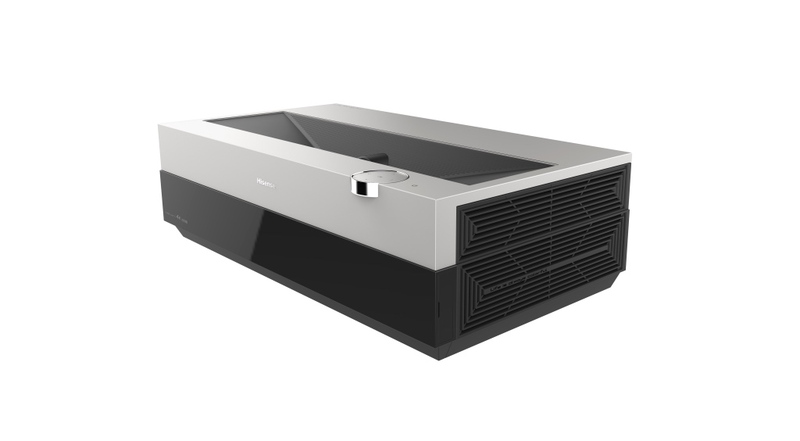 Hisense’s projection arrives in 4K Ultra HD, however, something you don’t find in other laser TVs — well, not the ones that you can find available in the market — and it will provide a whopping 2500 nits, a value that should see the project work in daylight with no problems. It would also sport a 5.1 sound system on the side, providing speakers and subwoofer in the box. 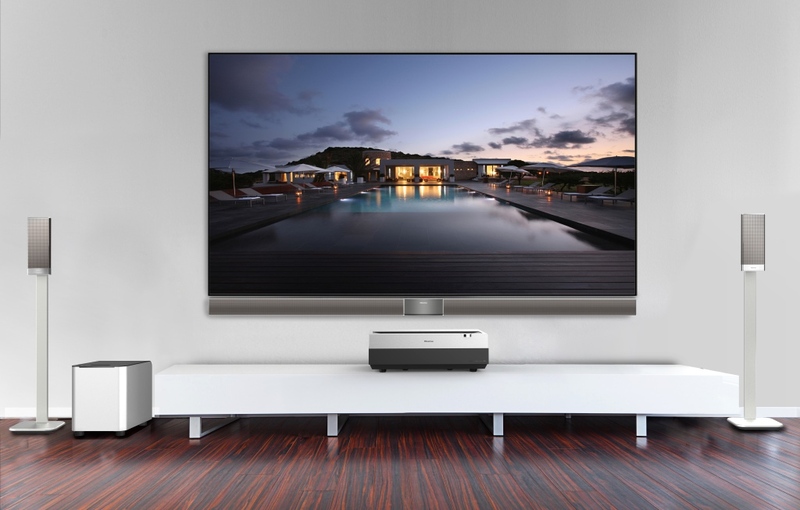 Availability and pricing of this Hisense Laser TV as it’s being called isn’t yet known, but we wouldn’t be surprised to see it arrive locally, since we tend to get Hisense’s other big announcements, too.